At the end of the Iranian year on March 20, inflation figures heralded a tough time ahead for ordinary Iranians, as price rises neared 50 percent in the last 12 months. 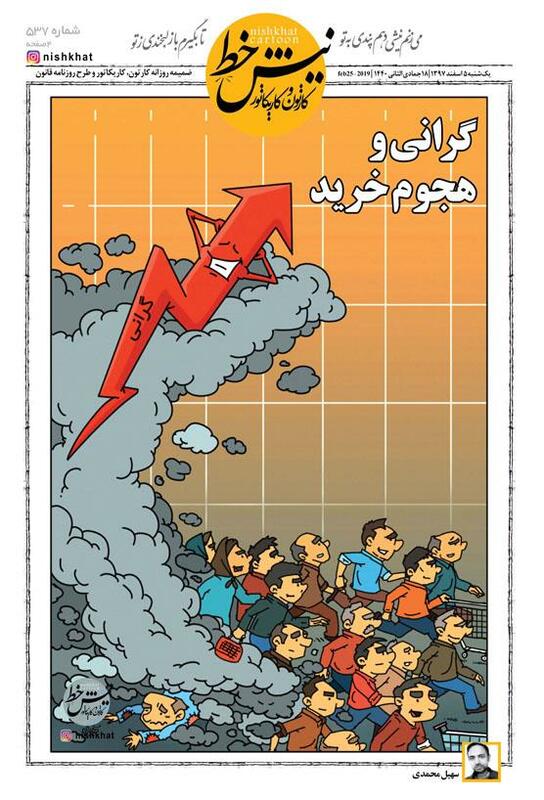 From March 2018 to March 2019, goods and services became 47.5 percent more expensive, in what is the worse inflation number in the past five years, Iran Statistical Center reported on March 21. But what is even more alarming, inflation for food and drinks is reported to be 73.2 percent in the same 12-month period. This is the most important segment of a working-class family's needs, when the minimum wage has increased very little in comparison with inflation. The main reason for the high rate of inflation in Iran is the devaluation of its currency. The rial has lost its value four-fold in relation with the dollar and other major currencies in 12 months. This means imports of raw materials for production become more expensive, although the government subsidizes "essential commodities", by providing cheap dollars to selected importers. "Inflation & the rush to shop"
The steep devaluation of the rial is mostly the result of President Donald Trump's rejection of the Obama-era nuclear agreement with Iran and the reimposition of stringent economic sanctions. As it became clear that the United States would abandon the nuclear deal, Iran experienced serious capital outflows in late 2017 and early 2018. In addition, lack of confidence in the country's economic future led ordinary citizens and businesses to hoard foreign currencies, which triggered the rise of the dollar on the local market. As sanctions fully kicked in by November 2018, Iran's oil and other exports have also dipped 50 percent, reducing its dollar intakes and its ability to keep currency exchange rates lower. 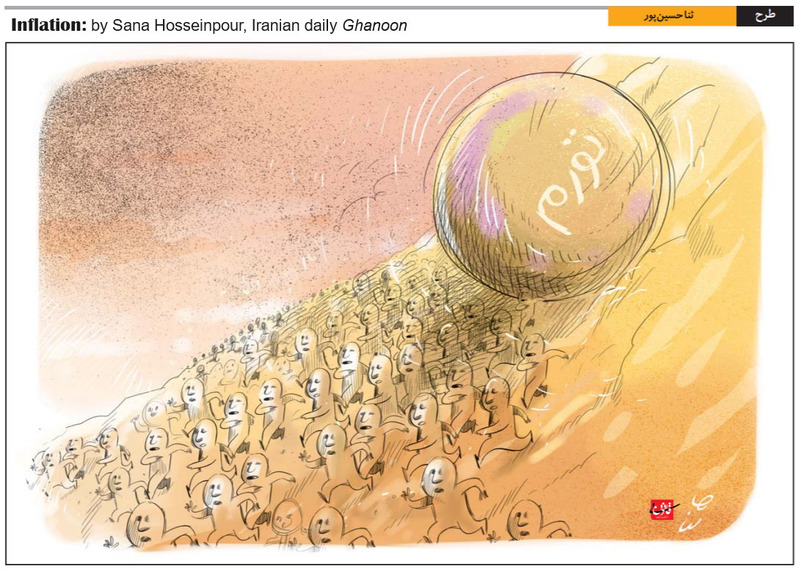 Other economists might not be so pessimistic, but most Iranian experts abroad believe all statistics published by Iran-based institutions, under-report inflation figures to reduce their negative impact on the country's volatile political situation.